Tasked at fourteen years old with supporting his family, Rahul Savant shows up to wash Kimi’s windows, and an unlikely friendship develops across the plastic curtain of her isolation room. As years pass, Rahul becomes Kimi’s eyes to the outside world—and she becomes his inspiration to better himself by enrolling in the police force. But when a life-saving heart transplant offers the chance of a real future, both must face all that ties them together and keeps them apart. Award winning author Sonali Dev writes Bollywood-style love stories that let her explore issues faced by women around the world while still indulging her faith in a happily ever after. 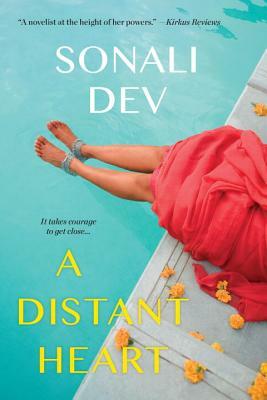 Sonali’s novels have been on Library Journal, NPR, Washington Post, and Kirkus Best Books lists. She won the American Library Association’s award for best romance in 2014, is a RITA Finalist and RT Reviewer Choice Award Nominee, and is a winner of the RT Seal of Excellence. Sonali lives in the Chicago suburbs with her very patient and often amused husband, two teens who demand both patience and humor, and the world’s most perfect dog. Find out more at sonalidev.com.